Jennifer DeGroote will replace retiring Allen Superior Court Judge Stanley Levine. Gov. Eric Holcomb made the announcement Wednesday. DeGroote, a Superior Court magistrate, was chosen in October by the county's Judicial Nominating Commission as one of three finalists to take the bench. She will serve out Levine's term, which expires in 2020. Magistrates perform many of the same duties as a judge but are not elected. DeGroote, 49, will take over for Levine in the court's civil division in January. Her appointment is particularly noteworthy because it marks the first time most Allen Superior Court judges will be women, Court Executive John McGauley said. Four judges – David Avery, Craig Bobay, Charles Pratt and David Zent – are men. DeGroote will join female jurists Nancy Boyer, Wendy Davis, Fran Gull and Andrea Trevino on the bench. DeGroote earned her law degree from Valparaiso University School of Law in 1995 after receiving a bachelor's degree from the University of Michigan. She worked at an Indianapolis law firm handling civil litigation and also worked for local firm Barrett & McNagny. DeGroote and Brian Cook were chosen in 1999 from among 18 applicants to be Superior Court magistrates. She was one of three finalists in 2013 to replace Judge Daniel Heath, who moved to the Allen County Juvenile Justice Center. Heath retired from there in February. DeGroote is the second appointment of a new judge in Allen Superior Court in as many months. Holcomb in November tapped Zent, now a magistrate, to take over for Judge John Surbeck Jr., who will retire Dec. 31. Levine announced in August he will retire at the end of the year. He was appointed to the bench in 1998 by former Gov. Frank O'Bannon. DeGroote has served on the boards of several professional and community organizations including the Central Branch YMCA and Fort Wayne Youth Hockey, according to a biography posted to the Allen Superior Court website. 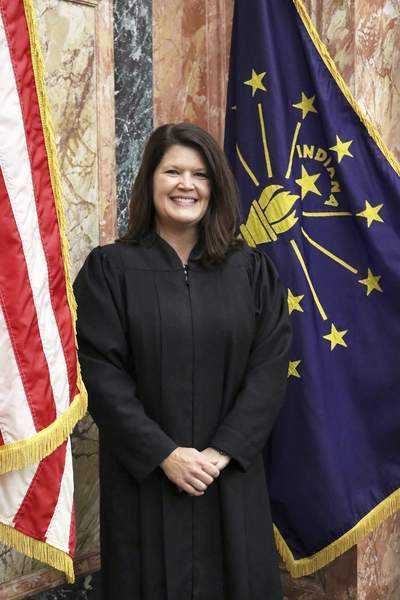 She has served as president and vice president of the Allen County Bar Association.